If you are a frequently travel to and from the Washington International Airport (BWI), then have you ever wondered why more and more people are opting for limo service in instead of using their own cars or going for airport cabs? Air travel is what one opts for when one needs a quicker and relaxed commute to a business meeting, an international conference, a family reunion, or vacation. However, even air travel has become stressful now a days due to the high travel costs, flight delays, crowded airports, lengthy and arduous security checks at the airport. The last thing you need is a stressful ride to or from the airport. So choosing BWI Airport Limo Service is not for the sake of flaunting your wealth but for practicality’s sake. 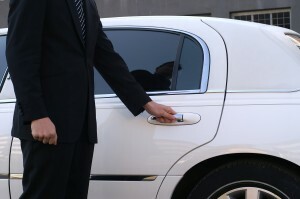 This is what Car Service DC aims towards i.e., providing its commuters a wholesome and stress free experience. If you are only a first time or an occasional visitor to BWI and not living here, you may not be familiar with all the routes to the airport or from it. Likewise, you don’t want to take your chances with a cab driver who may not be very familiar with the routes himself or doesn’t know all the detours in case of emergencies. BWI Airport Car Service has well trained and expert Limo drivers and Chauffeurs who absolutely know their way around the streets of Chicago as well as the detours in case of road blockages and are updated about traffic reports. Navigating your way through traffic in BWI is never pleasant and it can get simply too much when you are already have a long flight ahead or are coming back from one. Opting for a BWI Limo Service or Arlington Limo Service can help you navigate your way to and from the airport with greater ease even during rush hours and at odd flight timings like early morning or late night. Nothing is more precious than time. Instead of wasting your time in driving and finding parking in airport limo service like Car Service DC you can let your experienced driver take over and use this time to kick back and relax, check your emails or watch a movie or read the paper. Not only will you reach the airport in time but will have plenty of time to spare to check- in your flight on time, use the restroom, and even have some refreshment before your flight.